Having a winter birthday is always tough, since you are in the midst of the other big holidays. So this year, instead of fighting it, we rolled with the winter theme and celebrated E's 7th birthday with a Cocoa and Cookies party. 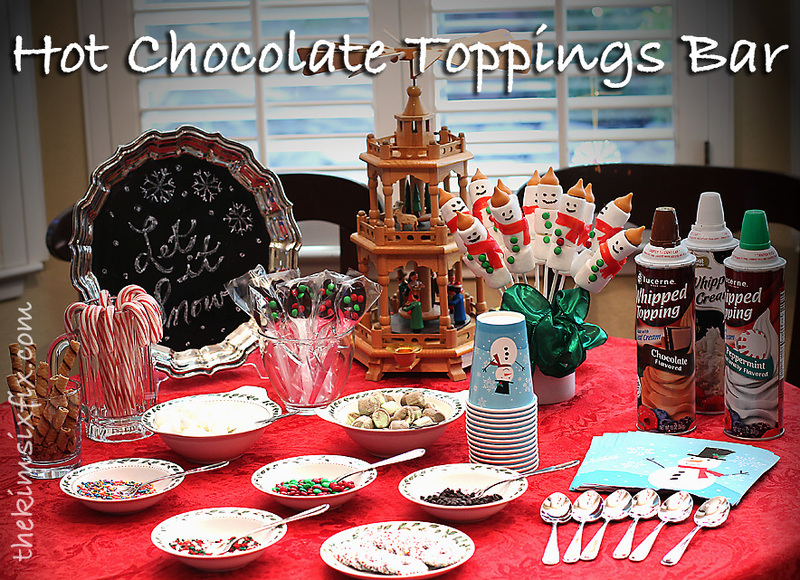 The highlight of the party was the "Hot Chocolate Toppings Bar." I made a giant batch of hot cocoa in the crock pot and then let the kids add whatever they wanted to it. 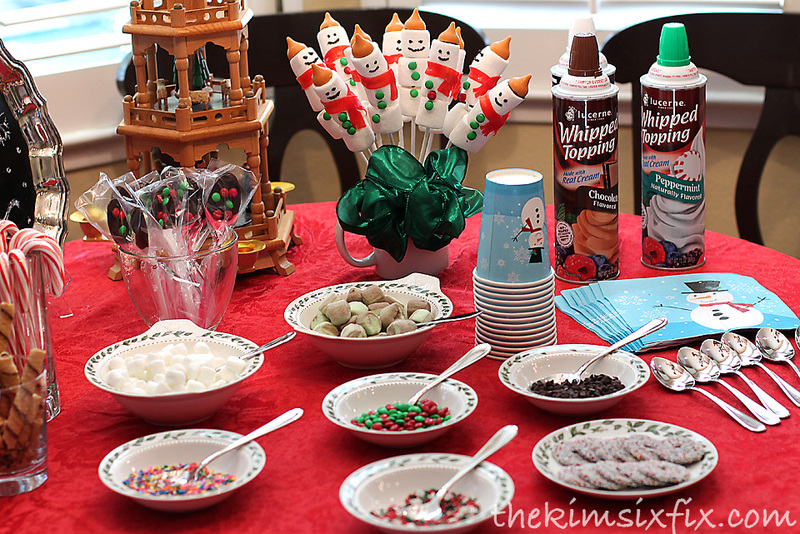 The toppings included different types of marshmallows, chocolate chips, sprinkles, candy canes, and three flavors of whipped cream. 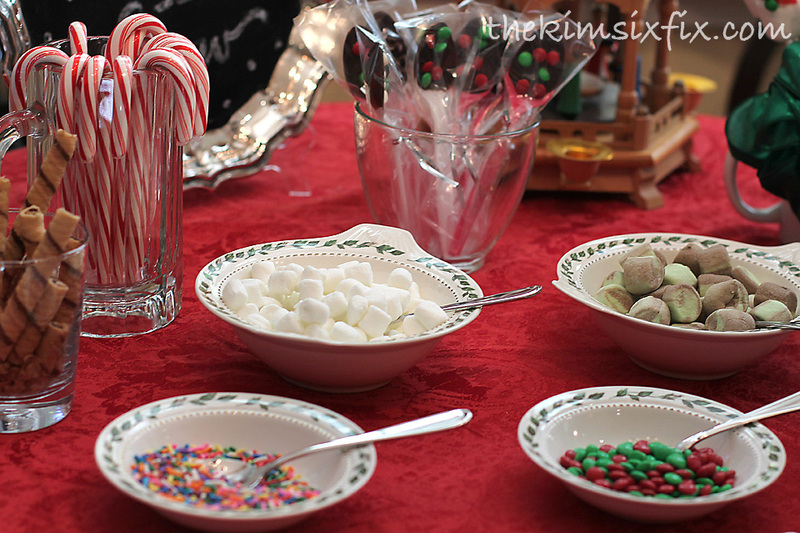 We also had a couple of homemade special treats on the table. 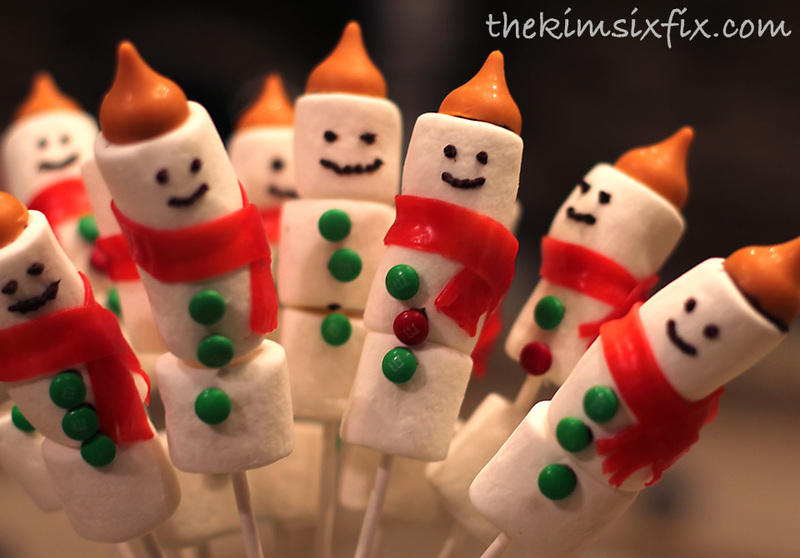 They are just three marshmallows on a skewer with a Hershey Kiss hat (we used pumpkin spice kisses), mini m and m buttons and a fruit roll up scarf. Everything was attached (and the faces were drawn on) using melted chocolate chips. 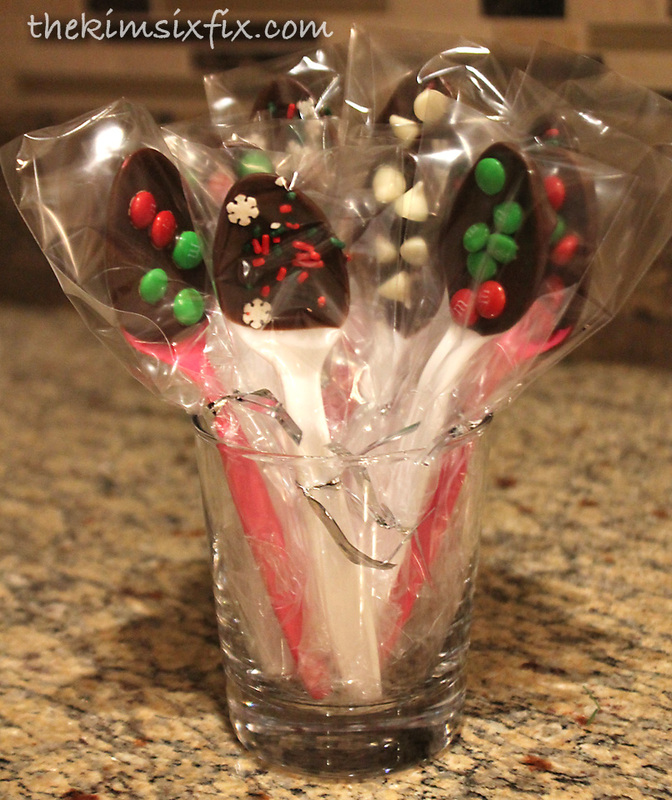 We also had chocolate covered spoons for stirring. We made a lot of extras of these (I will post our quick and easy tutorial later this week) so we could also use them as the party favor. I got a bunch of insulated tumblers at the dollar store and tied 3 chocolate spoons to each one. A perfect take home reminder of the "Cocoa" theme. 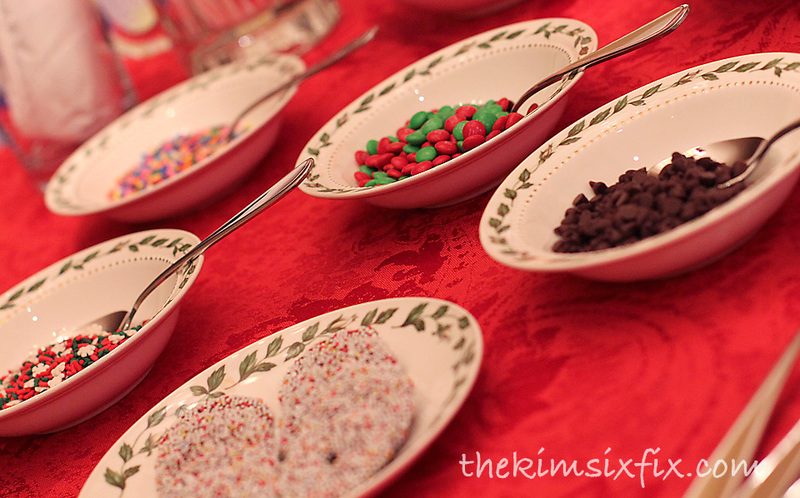 The second part of the party was cookie decorating. 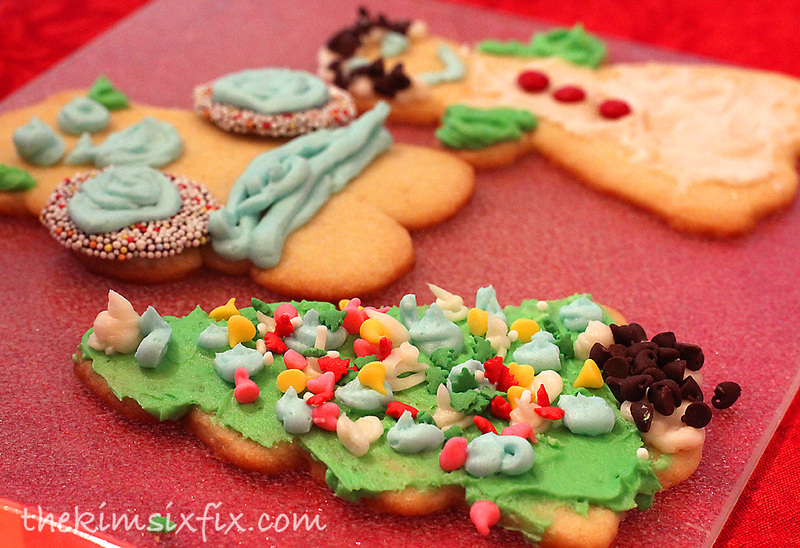 I made each child sugar cookies shaped like a christmas tree and gingerbread boy and girl. 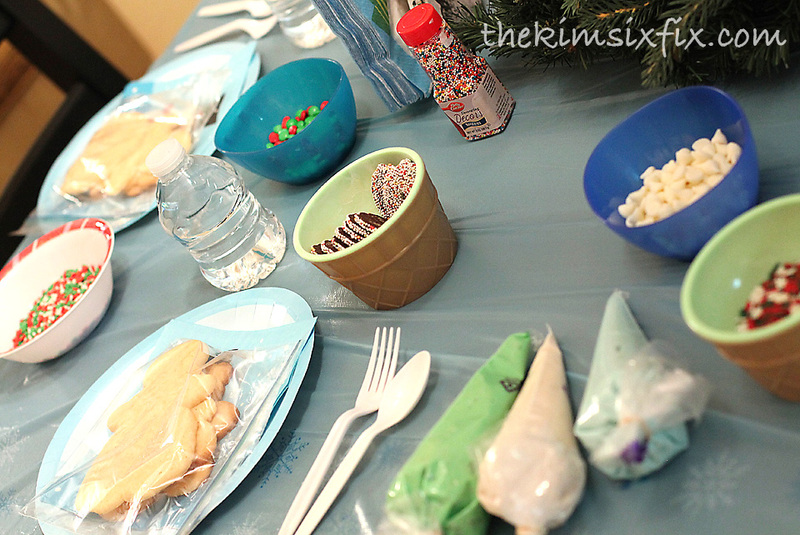 I then set out all sorts of toppings (sprinkles, colored sugars, candies etc) and made up tubes of frosting they could use. There were quite some little cookie artists in our midst. 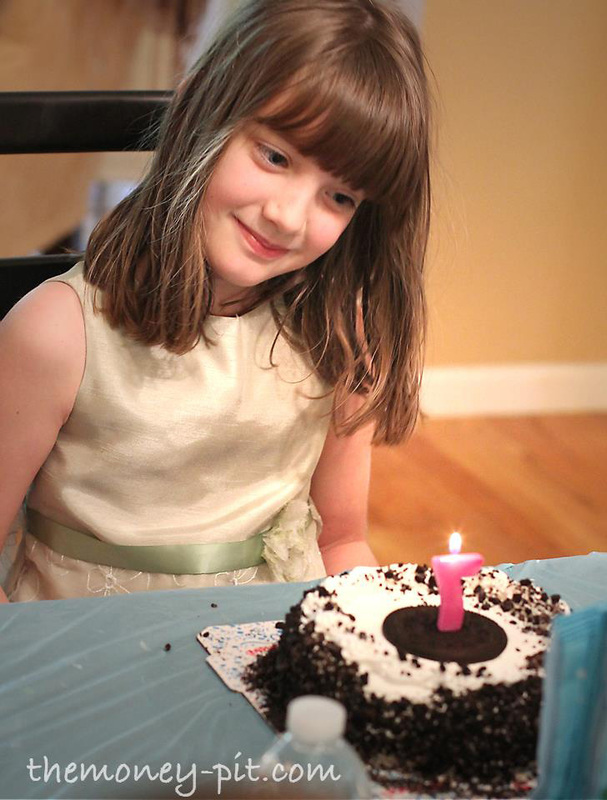 Not a bad way to spend your 7th birthday.. especially if you are a sweet tooth! Sharing at some of these great parties. How fun!! What a great idea for a BD party too!!! Happy BD to your daughter!! I bet parents were also glad that you had the kids bring home their created treats, too. What an incredibly cute party! I was trying to decide which was my favorite - but I just can't. 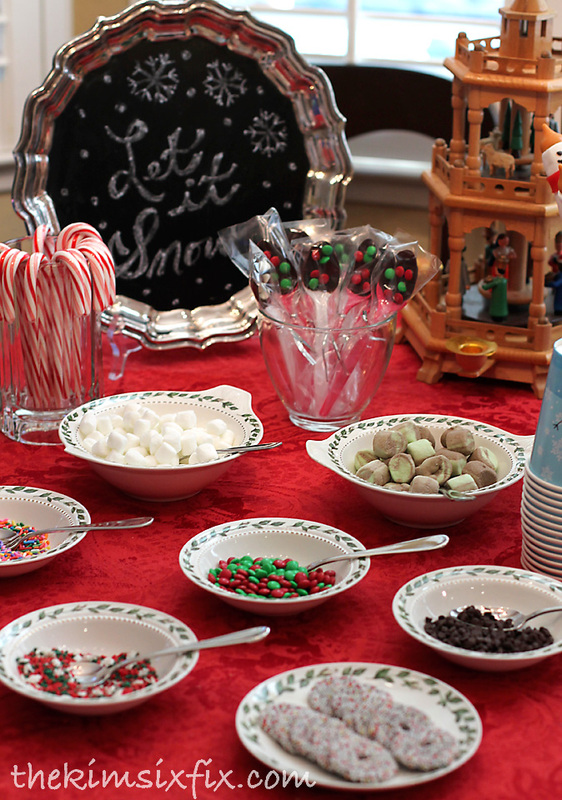 Between the snowmen marshmallow skewers, the chocolate spoons, the take-home cups (WITH the chocolate spoons), AND that adorable pic of Elena - it's just the sweetest party (all puns intended)! 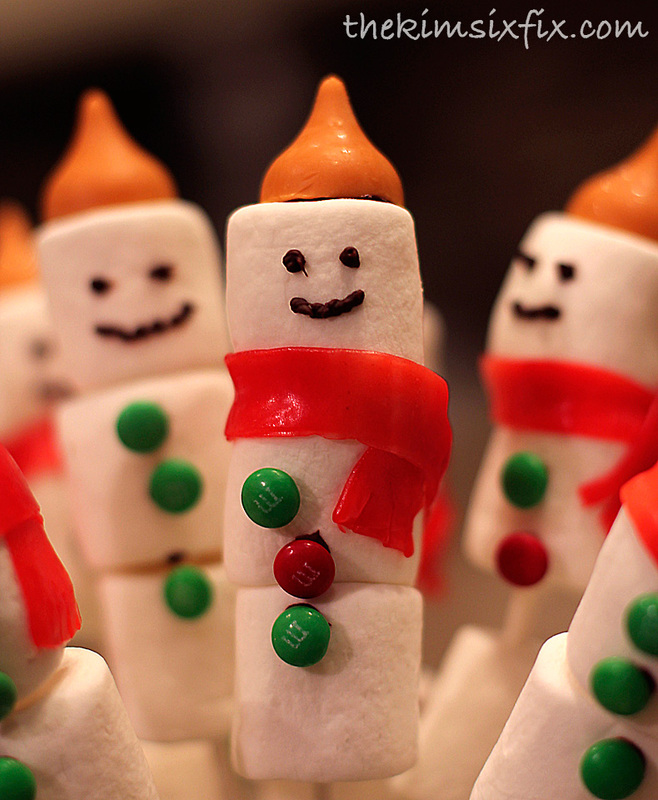 How adorable and creative! 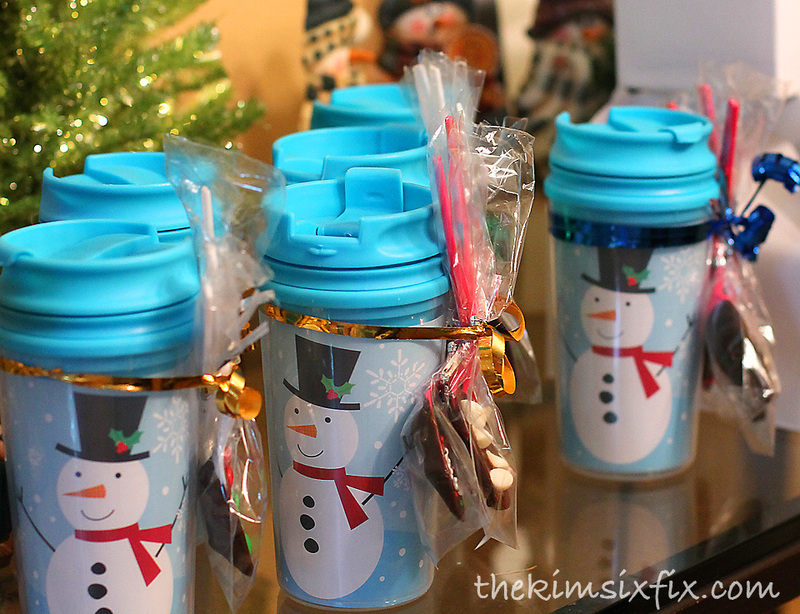 I love those $1 store cups - did you get them recently?